Asparagus is a perennial vegetable thought to have originated in northern Europe. It was cultivated by ancient Egyptians, Greeks, and Romans, and Louis XIV supposedly had a greenhouse devoted entirely to it. And the reason? Because asparagus is utterly delicious. We grow asparagus in its own patch. This is the first year that we’ll be able to harvest our own asparagus – it takes several years to grow a crop that can be harvested. I’m so looking forward to it, and in anticipation of our coming harvest, I wanted to share a couple of my favorite ways to prepare it. As far as picking out your asparagus, the good people at the California Asparagus Commission tell me that the size of your asparagus doesn’t matter. Larger shoots are apparently from younger plants, whereas thinner shoots are harvested from older plants. It seems the Swiss and the Germans are known for being especially fond of the jumbo-sized asparagus! Whatever the size you have, I always feel that asparagus is best prepared simply, to show off it’s uniquely delicious flavor. Now onto storing your asparagus! 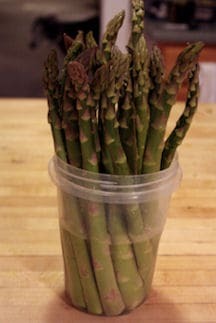 If you’re purchasing fresh asparagus at the grocery store, keep it cool and moist until you’re ready to cook. I like to store mine standing upright in water, the way you would fresh flowers. 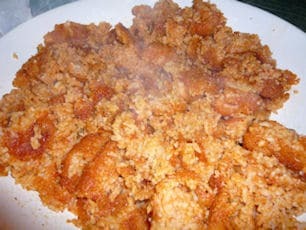 The first recipe, if you can even call it that, is a great appetizer or side dish. The second is one I like to keep up my sleeve and serve as a brunch side, because hollandaise is just about one of my favorite things ever and this recipe is mind-blowingly easy. 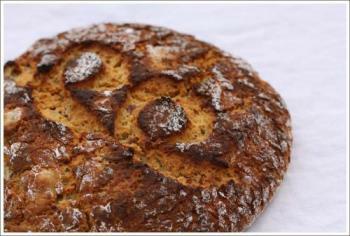 If you’re a purist, this recipe is probably not for you, but it makes our Sunday mornings at home something special. Preheat your oven to 350ºF. Prepare a baking sheet with oil or butter, or line with parchment or a silicone baking mat. Prepare phyllo dough by brushing a single sheet with melted butter, adding another sheet on top of that one, and repeating. I usually do about 10 sheets total, so you get lots of good flaky pastry and butter in there! 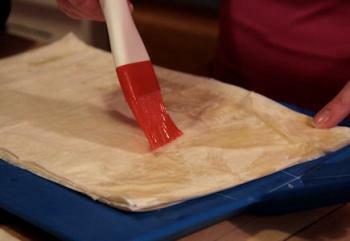 Cut phyllo into strips about half an inch wide using a pizza cutter. If you don’t have a pizza cutter, use a very sharp knife and work slowly so as not to tear the dough. 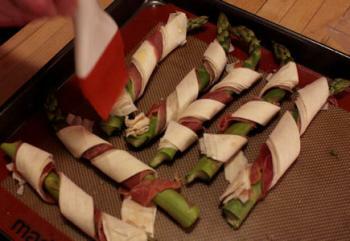 Lay half a slice of proscuitto on a phyllo strip. 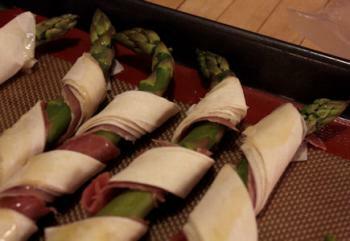 Roll around your asparagus at an angle, barber-pole style, and place on the prepared sheet pan. Repeat until all asparagus are wrapped. Sprinkle with salt & pepper and brush the outsides with a bit more butter. 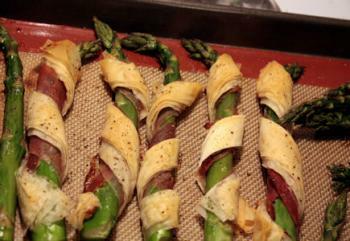 Roast for 10 – 20 minutes, or until asparagus is tender and phyllo is nicely browned. Preheat oven to 350ºF. 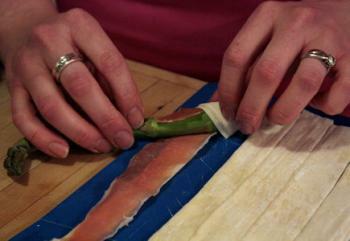 Toss asparagus in olive oil until lightly coated, and asparagus on a sheet pan. Sprinkle with a bit of salt & pepper. Roast for 10 – 20 minutes, or until crisp-tender (not soft). 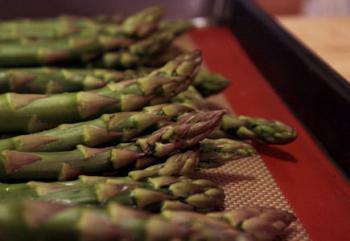 While asparagus roasts, combine egg yolks, lemon juice, cayenne, salt and black pepper in a blender. Pulse to combine. 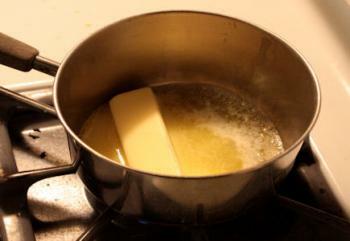 In a small saucepan, heat the butter over medium heat until bubbling and frothing. Do not brown. Working quickly, start the blender up again at medium speed. Pour the hot butter into the blender in a thin stream. 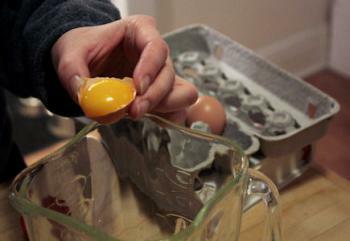 When all butter is added, allow blender to run for another 30 seconds. Serve immediately poured over roasted asparagus. 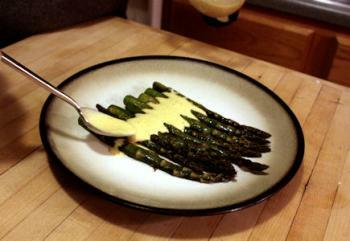 Or get friendly with your brunch-mates and pour it into a bowl and dip the asparagus in the hollandaise! What’s your favorite way to serve Asparagus?